If your smile is suffering from serious issues that make it nearly impossible to smile with confidence, you should know that there are now more options available than ever before for addressing this issue. One especially promising and popular method is called dental implants. Let’s address some of the frequently asked questions regarding these implants to get you better familiarized with this form of cosmetic dental surgery. 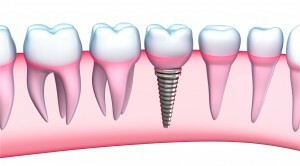 Dental implants are permanent to a certain degree. For all intents and purposes, yes, this solution is permanent especially when compared to other versions available on the market. However, you will most likely need them addressed after about 10 years, assuming you otherwise took care of them well. Why Not Just Get Dentures? Dentures and dental implants have some things in common. Mainly, they both accomplish the same look, meaning they will give you a full, attractive smile. Also, dentures have been around for a considerable amount of time, meaning many people can’t see why denture implants would be the preferred option, especially when you consider that it’s also the more expensive one. The truth is that dental implants are considered far better both by dental professionals and those who end up receiving them. As we mentioned, they’re basically permanent, meaning once you leave the dentist’s office with them, you can rest assured they’ll be staying in place for years. 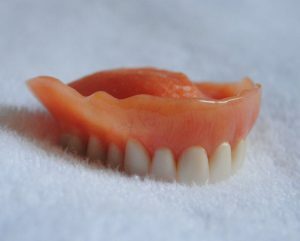 With dentures, you constantly need to worry about them falling out, making noise, breaking and other common issues. Yes, dental implants look extremely real. You’ll want to pick the right material for this, of course, but your dental professional should be able to help here, making this a non-issue. Because dental implants connect right to your jaw, though, like real teeth, these applications are extremely realistic. They also lack wires or any other extra attachment methods that give other options away immediately. Furthermore, dental implants help restore your original smile. That’s because they put a prosthetic tooth in right where the old one was. This helps to make for an extremely natural look. While people will no doubt notice you have a tooth where once one was missing, you definitely won’t have to worry that it looks silly out of place. You probably will notice a difference from dental implants, but in a remotely bad way. That’s because, again, fill in right where your old tooth went missing. On top of that, they’re perfectly sized and adjusted so that they fit in without being obtrusive. Only those who are missing one or more teeth will want dental implants. These aren’t a solution for whitening or straightening teeth. That being said, those who are missing their teeth may not be good candidates if they haven’t taken care of their oral hygiene. If disease has worn away at the jaw bone, the implants will have nowhere to be installed.